Hej, I’m Maddie. I’m a 21-year-old student in my final year at Gustavus Adolphus College in St Peter, Minnesota, and I’m here at DIS Stockholm helping to kick off the semester. Mulled wine is key for cold days! And now that I am here, DIS is keeping me busy! I’ll be sharing my one month in Sweden by blogging, writing news stories, and taking lots of photos for social media (make sure you follow @disabroad on Instagram and give DIS – Study Abroad on Facebook a like.) I’m excited to welcome students on Arrival Day and get to know them and some of their Homestay hosts. I am feeling very lucky and very excited to get to live in Stockholm and work with DIS students and staff! As for me, I grew up in Minnesota, which has a large population of people of Swedish descent, and although I do not have any Swedish heritage, I have always been exposed to Swedish traditions because of my neighbors and surroundings. There is a ‘Swedish House’ on campus, which houses 10 students each year. They host fika each week! The Nobel Conference is the only ongoing event in the United States to be authorized by the Nobel Foundation in Stockholm. Each year, Gustavus hosts experts to speak to the general public about their research. Gustavus also has ties to the Wallenberg foundation, the organization I have to thank for my time here. The Knut and Alice Wallenberg foundation is the largest private financer of research in Sweden. The primary goal is to fund scientific research that will benefit Sweden, but I am currently benefiting from a grant that funds a few Gustavus students’ scholarships to live and intern abroad. To apply for the scholarship, I had to secure an internship in Sweden and prove that it would benefit my education and the development of my career. 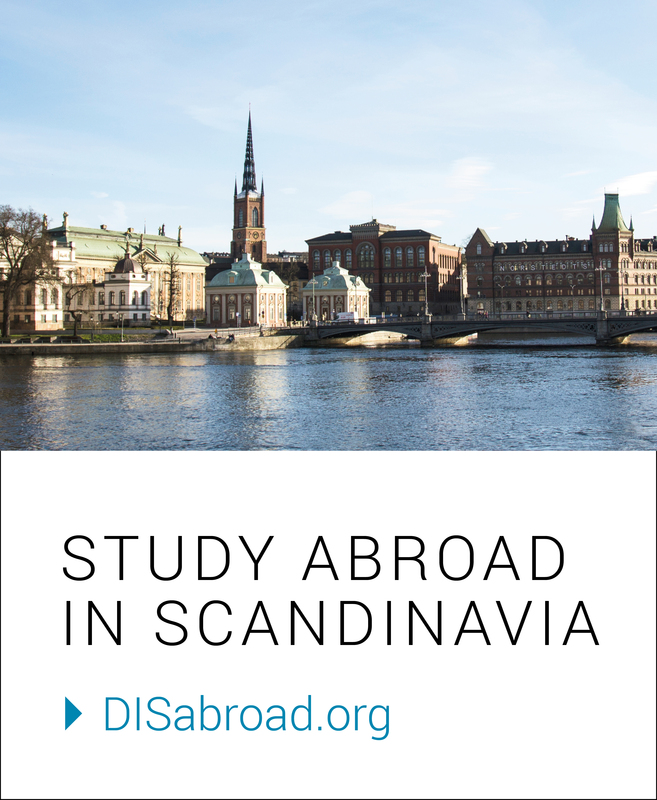 I studied abroad with DIS Copenhagen last spring, and started planning while I was there. Several months later, I was ecstatic to learn that I had been selected for the scholarship and could create a shorter-term internship with DIS ! I’m looking forward to a weekend of exploring Stockholm, but for now I’m off to have my fourth coffee of the day, which will be accompanied by my new Swedish pastry obsession- semla!